Rider Zann Cannon Goff reports this important news, spotted Sunday morning on the 24 Divisadero. 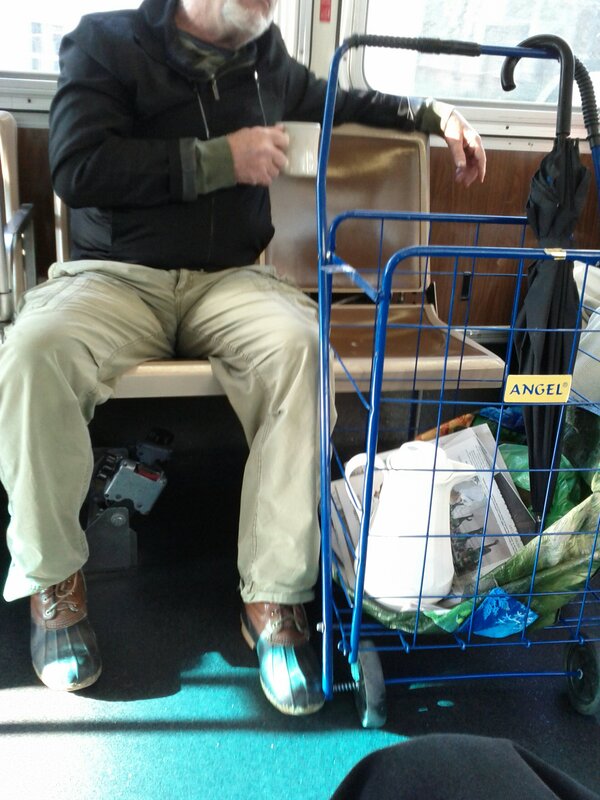 This fellow passenger was traveling with his own portable dining car, with a coffee mug and a carafe he kept refilling from as the bus rolled along. 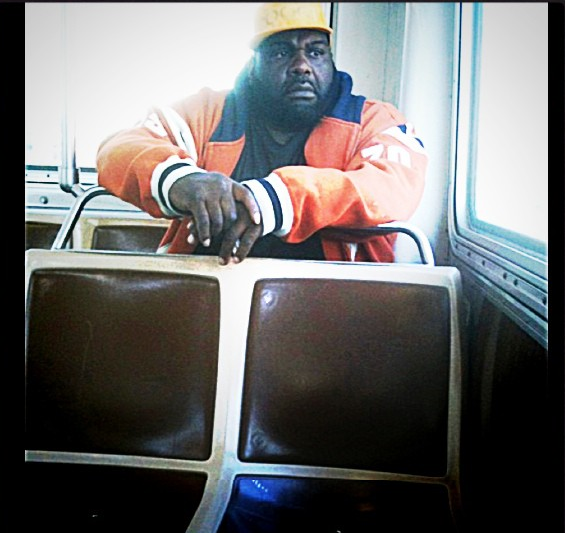 One of our favorite Muni drivers has returned to the wheel, rider Jonathan reports. 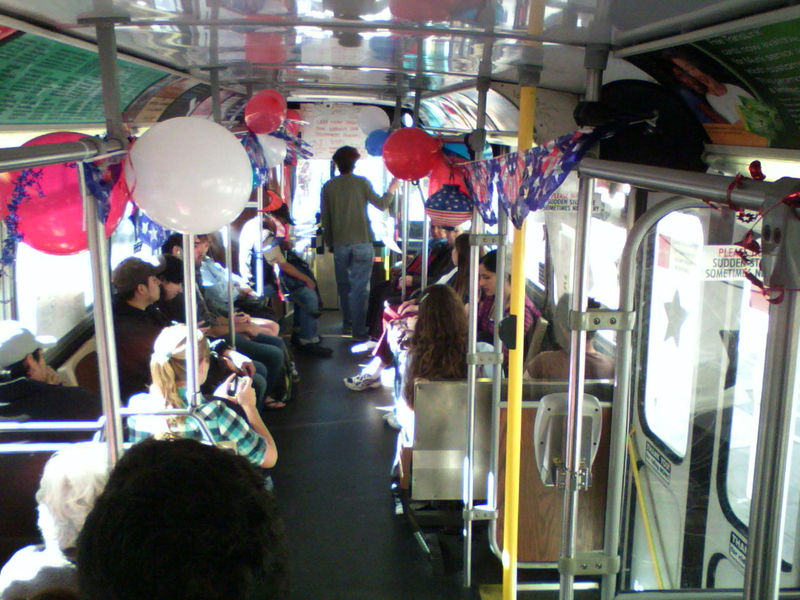 We first met Tammy in 2010 when she threw an amazing surprise party on the 33-Stanyan. Tammy is driving again, though she has no set route as of yet. 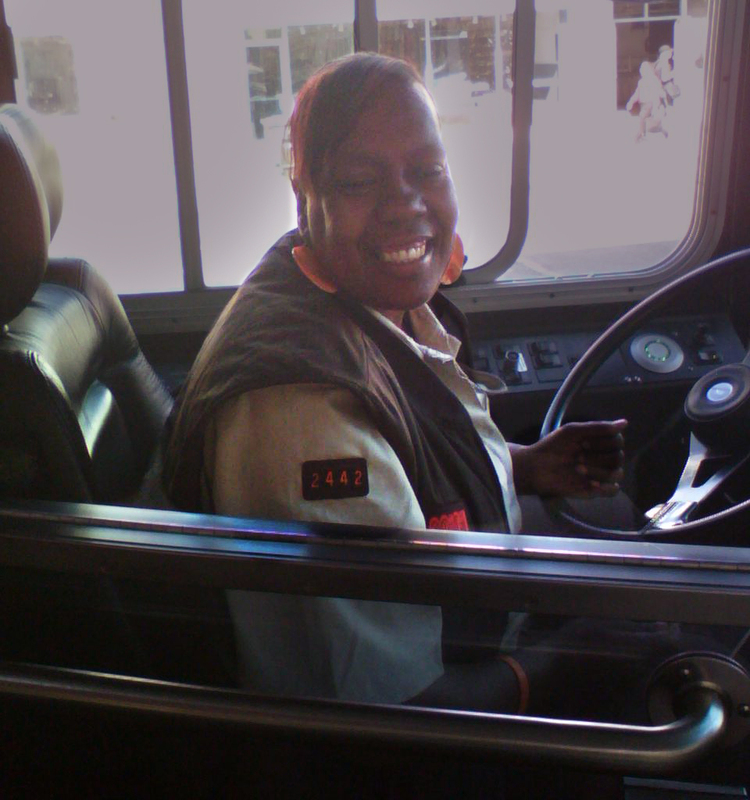 She was behind the wheel of the 24-Divisadero this morning, with a warm smile that Muni should bottle and give to all its employees. I vote for assigning Tammy to the 24 line. But I’m sure 33 riders would beg to differ. Her support group for families of drunk-driving victims, HeavenlyBoundAngels.org, carries a hopeful message — “From Pain to Purpose” — which is just what you’d expect from someone with such a big heart. Thanks, Jonathan, for the update on Tammy, who brings a smile to so many of her passengers! Instagram photographer karolinecollins saw this serious man on the bus the other day and found something really unexpected. Yup, we can attest to the “never a dull moment” aspect of public transit. Who else did you spy on your bus today? We wanna know. Amazing. 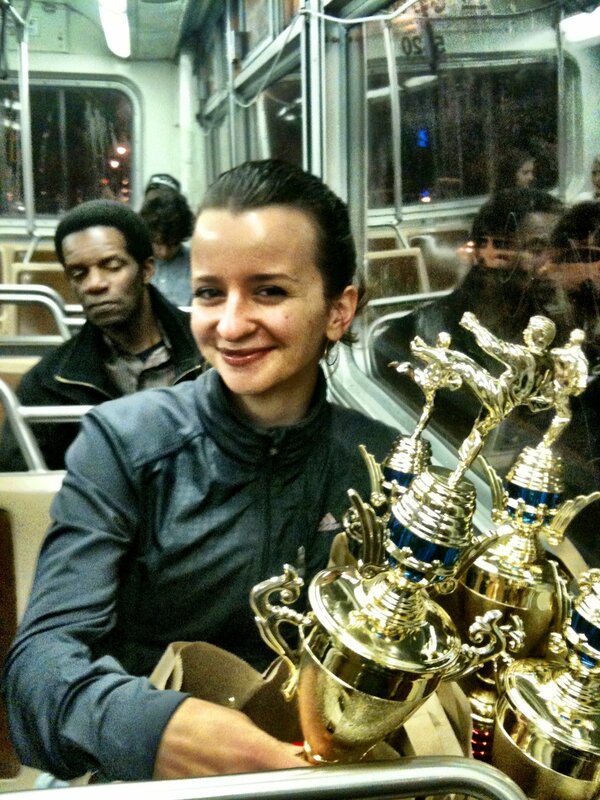 Look at all them trophies, y’all! What’s happening in this Muni cartoon? If you missed the chance to caption this carton in person last month, here’s your chance. 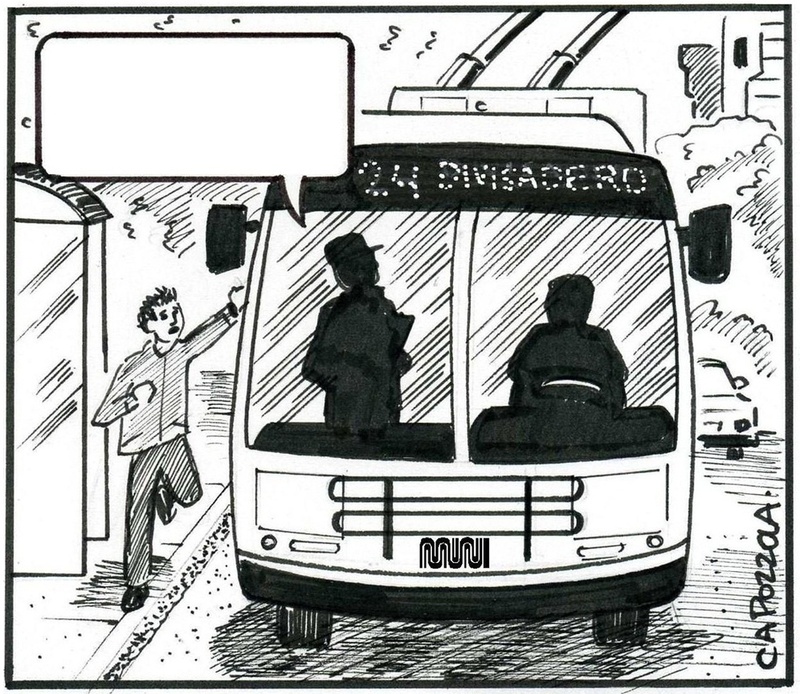 Caption this Muni cartoon in the comments section: what’s happening on the 24-Divisadero here?